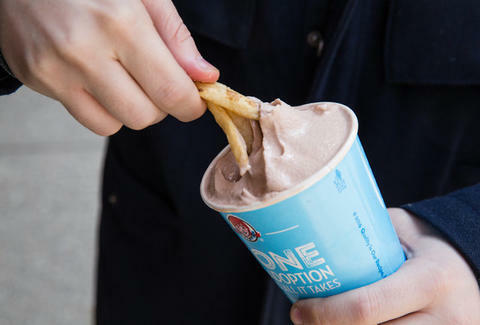 There may be no such thing as a free lunch, but you can get a free Frosty with that non-free lunch every day of the year. That's because Wendy's is having its annual Frosty key tag sale to make sure you're dipping fries in Frostys any time you need to. For just $2, you can land a key tag that entitles you to a free Jr. Frosty with any purchase, every day of 2018. It's not totally free, but at $2, it might as well be. Even better, you can give yourself a pat on the back for filling your craw with ice cream. The annual program is a benefit for the Dave Thomas Foundation for Adoption, a four-star organization, according to Charity Navigator. For every dollar spent, ninety cents will head to the charity whose mission is "finding a loving family for every child waiting in foster care to get adopted."